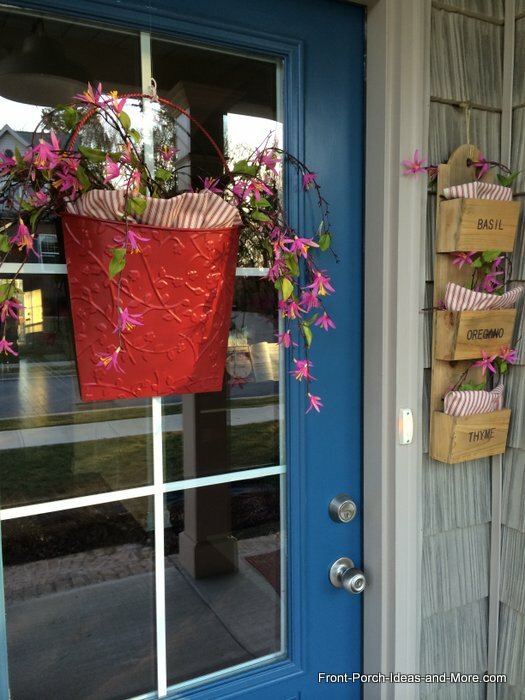 Dave and I want to share our Valentine porch decor with you. The best part about it (at least some of you will agree) is that no sewing is involved. 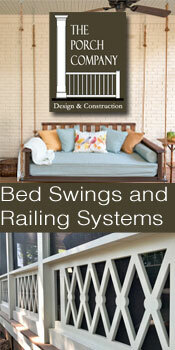 In fact we even used duct tape for attaching the pillow toppers on the back. 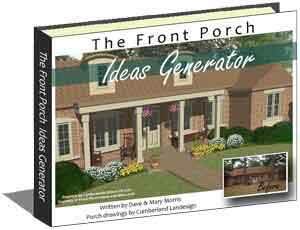 Front porch decorating need not be difficult or expensive. Especially in February when it's often cold and snowy for many. 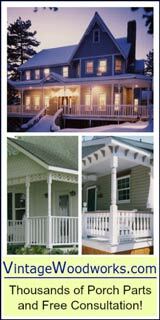 Our front door decoration and pillow toppers are all about simplicity but don't let that fool you. They are both cute as can be, too. 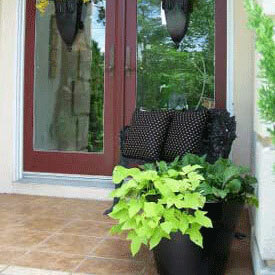 First, we wanted something fresh for the front door so I remembered the white metal basket that we had. 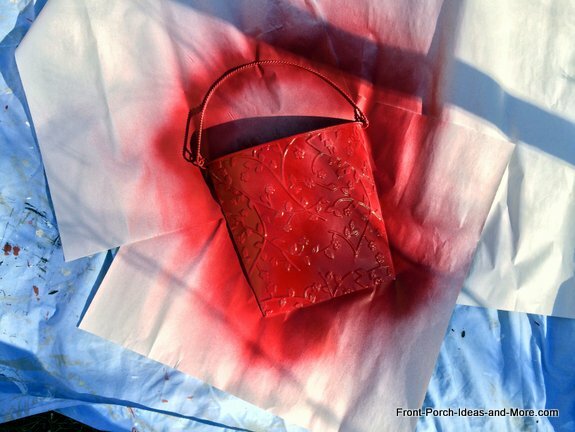 It was worn so we decided to paint it a bright cheerful red. The once-white basket looks pretty good in red. I like not having a wreath this month. 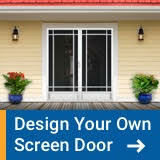 Let me show you how easy this was. The white basket needed some fresh paint anyhow, so this is a perfect time to paint it red. 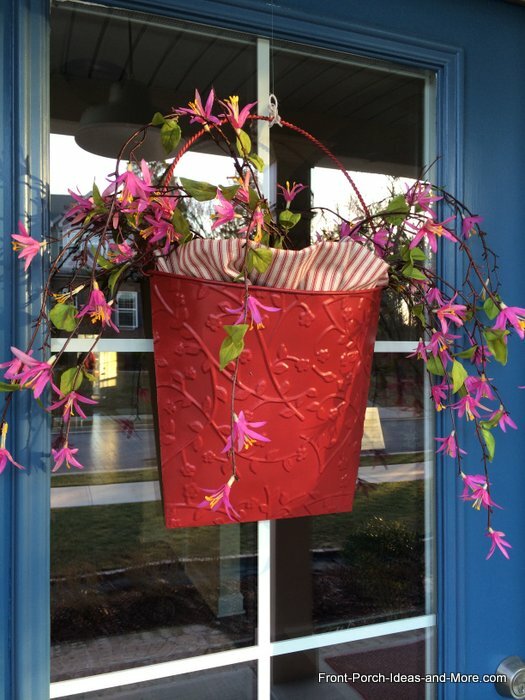 Look how cheerful the basket looks now that it is painted red. 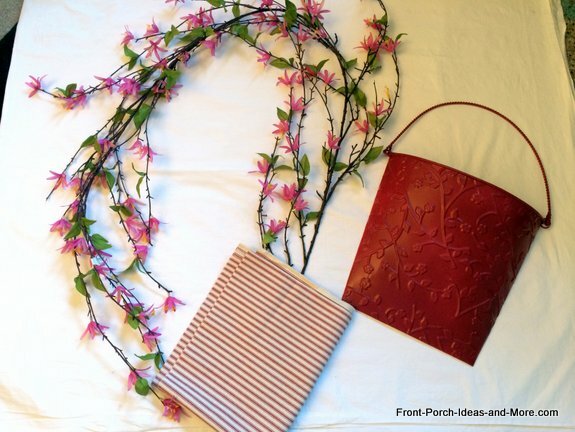 After I painted the metal basket red, these are the supplies I gathered to finish our front door decoration: A swatch of fabric to tuck in the front of the basket and a floral garland. We prefer the floral garland over the bouquet of flowers because they can be cut apart and made to look more loose and natural. I tucked the fabric into the basket. 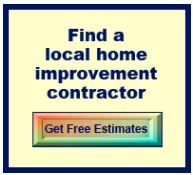 (You can fill the basket with plastic bags or newspaper if you need filler.) 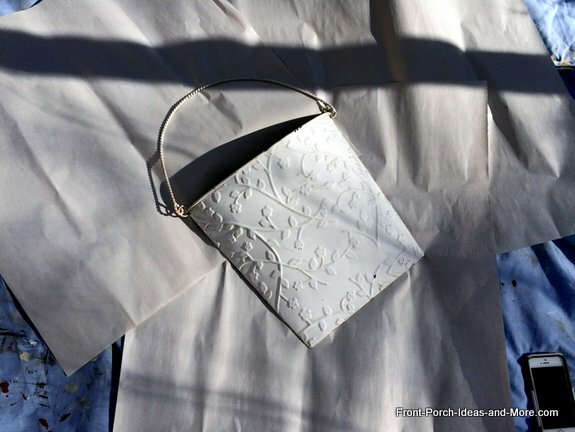 Then I cut the garland of flowers into smaller lengths and tucked into the metal basket. 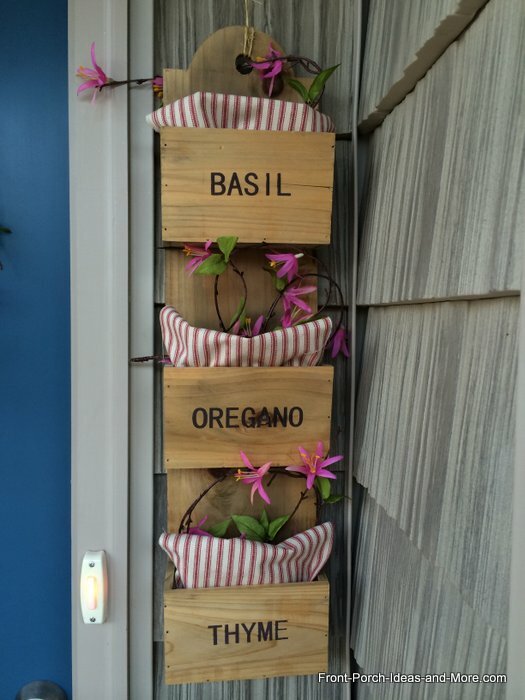 I also carried the theme over to our wooden herb garden hanger. That's probably my favorite part. My favorite Valentine porch decor on our porch is our cute wooden herb garden hanger which was a gift from our friends, Liz and Doug. 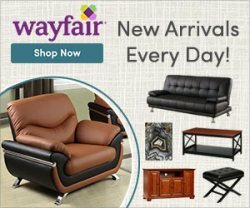 We find a way to use it for just about any season or holiday. 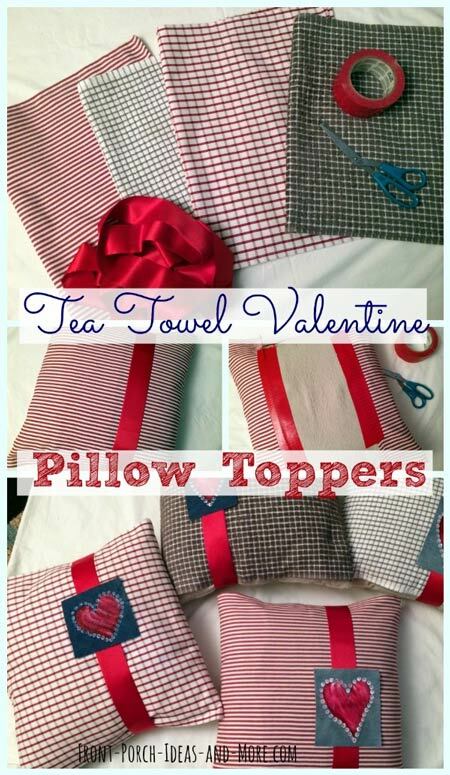 Now we will show you how we made our Valentine pillow toppers from tea towels. 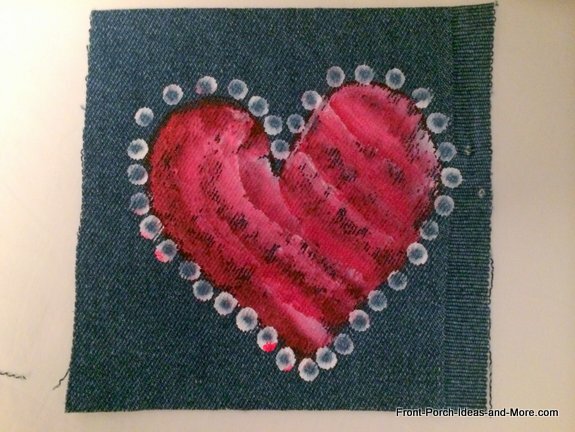 I think they turned out pretty darn cute considering no sewing and can be done in about 10 minutes (except for the optional denim heart). I had a light bulb moment. Why not use a tea towel as a pillow topper? 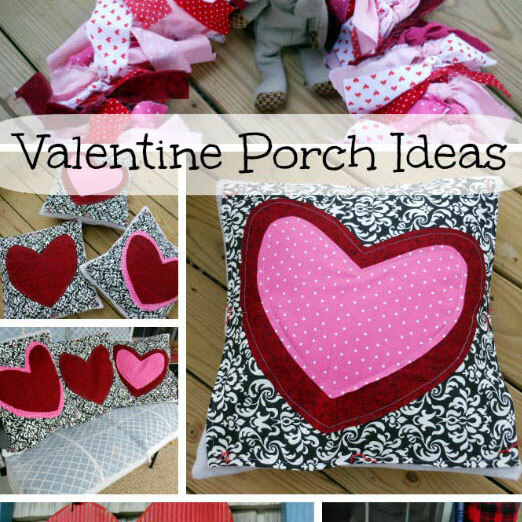 There would be no sewing needed and we could use the tea towels after Valentine was over. So we found these simple towels - two are red and white, two are gray and white - and the Valentine decorating began. All you need is one towel per pillow, some wide ribbon (what we are using is actually blanket binding but ribbon would be preferable) and some duct tape. Optional: one small denim swatch for each pillow. 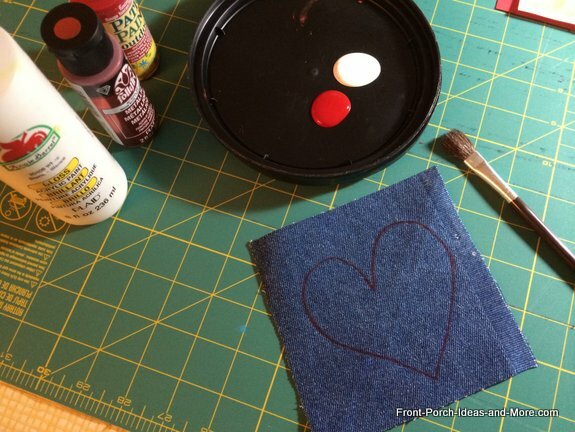 I painted a heart onto the denim swatch but the pillows look pretty without the hearts, too. 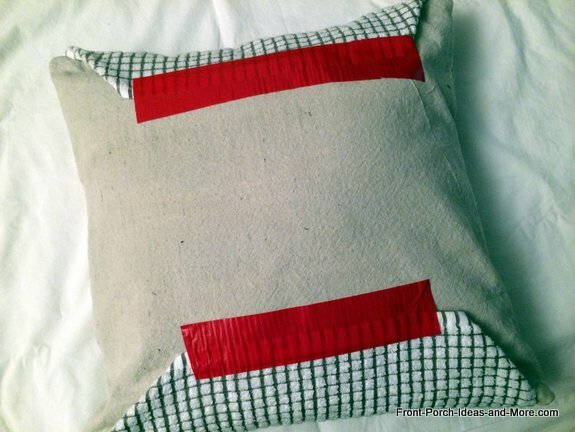 To begin, just wrap the front of your pillow with the tea towel and fold the excess around to the back. I fastened mine with duct tape, but you could also safety pin it if you prefer. I folded in the corners, as you can see above, to make it look neater on the front. 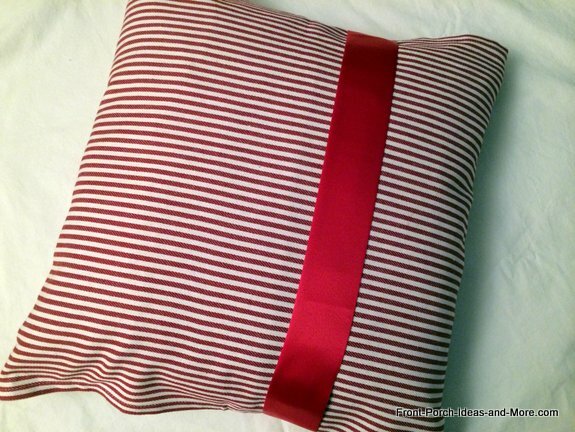 Then I wrapped a length of ribbon around the pillow and fastened on the back - with more duct tape. You could fasten with a safety pin, if you prefer. At this point you could call it done. It looks fresh and pretty for Valentine Day. But I like to paint, so I wanted to add one more element to the pillow. I found some old jeans and cut a few swatches from them. Then I painted hearts on them. The swatches can be any size you like. Mine are maybe 4 to 5 inches each. I am using acrylic paint. I dipped one side of my paint brush into red and the other side into white paint. 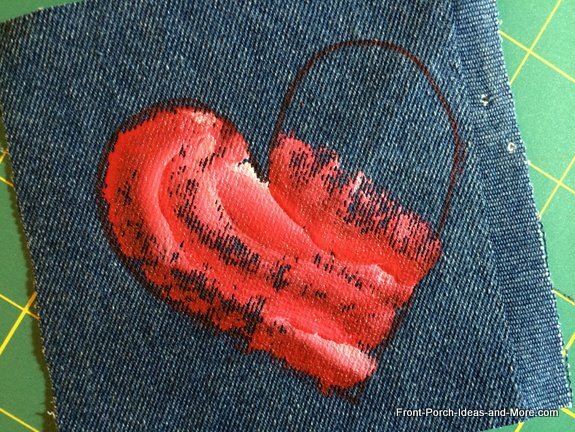 Then just paint a simple heart on the denim. Then I dipped a cotton swab (like a Q-tip®) into white paint and made dots around the heart. 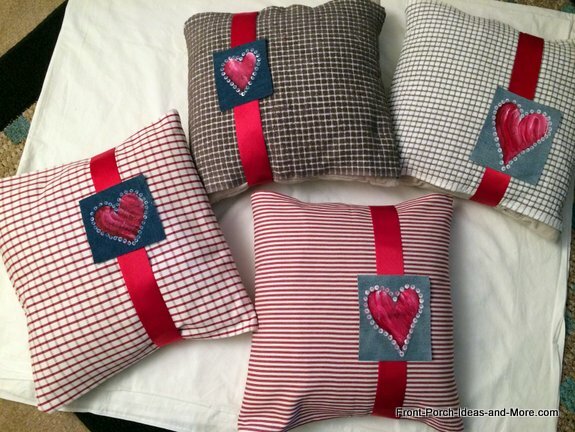 Our finished Valentine porch decor pillow toppers. I simply pinned the denim swatches to the ribbon. 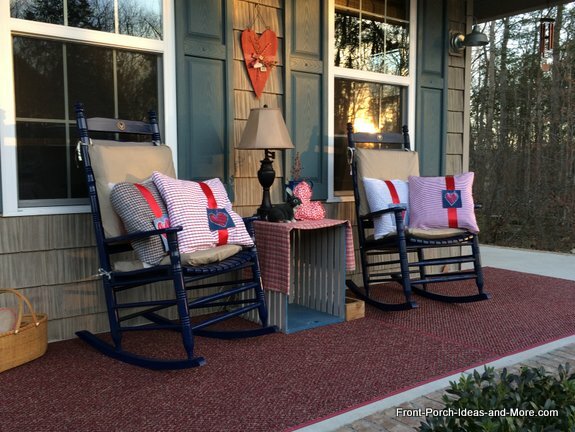 It's the middle of winter and there will not be much porch sitting in February for us - so duct tape and pins are ok on the pillows. They are just for show this month. 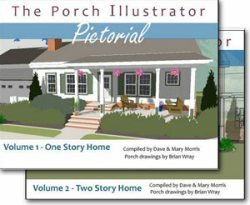 They look pretty cute on the porch. Not too flowery or over-the-top. Just a nice touch of red on the front porch. 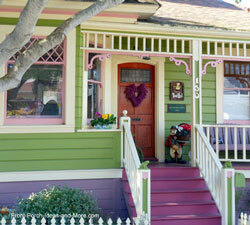 We hope you enjoyed our Valentine porch decor. It was easy to pull together. 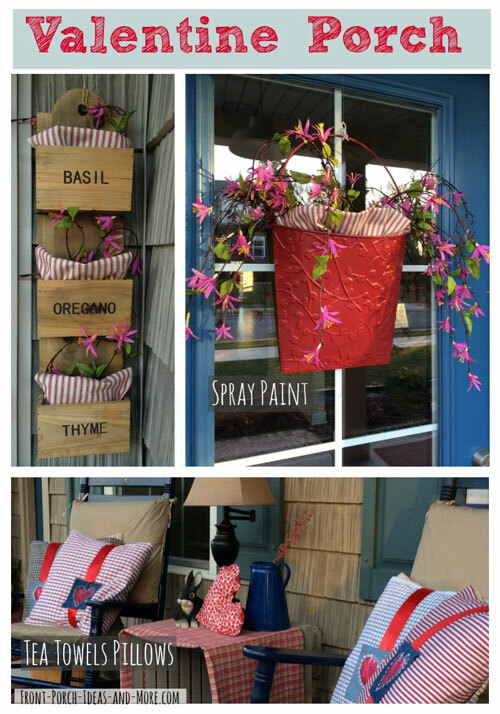 We hope you are inspired to decorate your porch a little in February, too. 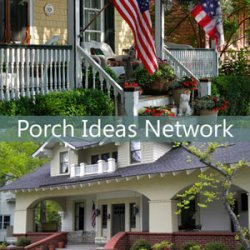 Eileen is also a crafty gal with lots of seasonal ideas for your porch.